A French Quiche Lorraine is a traditional recipe that any chef in France knows how to make; at least that’s what I was told and it all begins with the dough. In my variation, a Quiche Lorraine with Tomatoes, I used pancetta instead of bacon and I added parsley and tomatoes. 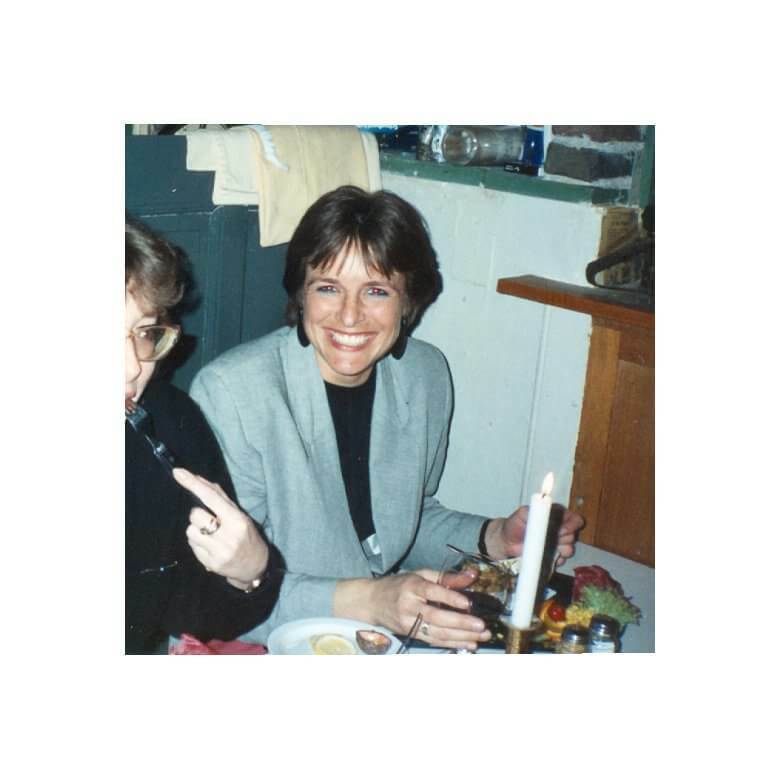 Any pie, savory or sweet, begins with the dough, the basic of the pie and when it comes to pies, I am often a lazy pie dough maker; I often buy pre-made pie bottoms. This time, I did take the time to make it myself. I made a Quiche Lorraine multiple times and I always made the bottom, so no reason to change this time. Humans are creatures of habit and I am no stranger to that. The bottom of this pie is somewhat crumbly; it falls apart easily; because of the ratio flour:butter = 2:1. The addition of the 1 egg, does keep the dough together, but it is vulnerable to breaking. What I like about this ratio is after the quiche is done; it give a certain dryness to the dough. The cheese part is rather rich and a dry pie bottom complement each other very nicely. Make the dough by mixing flour, butter, egg, water and salt. Knead until you have a consistent mix, then wrap it and allow it to rest in the fridge for an hour. In the meantime, make your filling. My selection of the ingredients for the filling are based on my preferences. Pancetta, Swiss Gruyere cheese, eggs, milk and creme fraiche. I picked pancetta because it add more than just a salty bacon to the flavor of the quiche. I used thinly sliced pancetta, because I like the bacon/pancetta to be all over the quiche, instead of chunks of bacon in just a few places; but of course you can change that to your liking. Gruyere cheese can easily be substituted by cave-aged Gruyere or Comte if you want to keep it in the Alpine Cheese family. I decided to make a Quiche Lorraine with Tomatoes because of a slightly lighter touch and the addition of the parsley is mostly because of the color. Tiny green speckles all over the quiche, will give it just a little extra color. 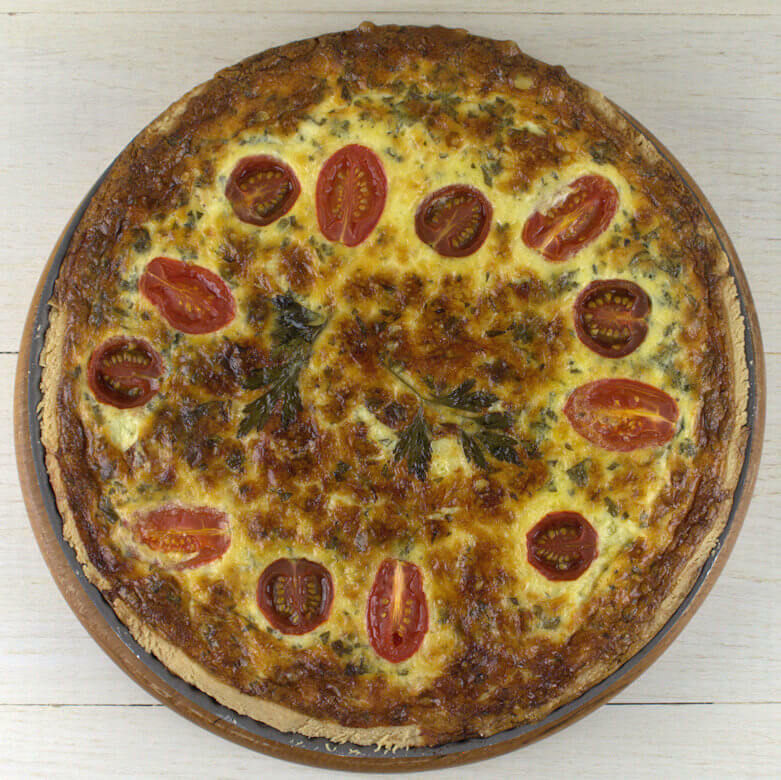 Quiche Lorraine with Tomatoes is a perfect lunch dish, or serve it at dinner time with a salad. You can eat it cold and warm. Really great! A French Quiche Lorraine is a traditional recipe that any chef in France knows how to make; at least that's what I was told and it all begins with the dough. In my variation, a Quiche Lorraine with Tomatoes, I used pancetta instead of bacon and I added parsley and tomatoes. Transfer the flour to a bowl and add the butter. Cut the butter into tiny dice, add 1 egg, salt and water and knead into a supple dough. Wrap in foil and allow to rest for a min. of 1 hour in the fridge. Grease a 9-inch quiche-form or any other from with butter and dust with flour. Cook the pancetta in a skillet with 1 tablespoon of oil and cook crisp in approx. 5 minutes. Transfer bacon to a plate covered with kitchen towels and drain. Combine milk, creme fraiche, grated Gruyere cheese, 4 eggs in a bowl and mix. Add pepper and nutmeg to taste. Be sparse with the salt, as pancetta is a salty bacon. Add chopped parsley and mix. Take the dough out of the fridge and roll it on a flour dusted counter. Roll in into a circle of approx. 10 inches and transfer it to a 9-inch quiche form, covering bottom and sides. With a fork punch some tiny holes in the bottom to prevent that from rising. Transfer pancetta to the quiche form, divide evenly over the bottom. Pour cheese mixture in the quiche-form. 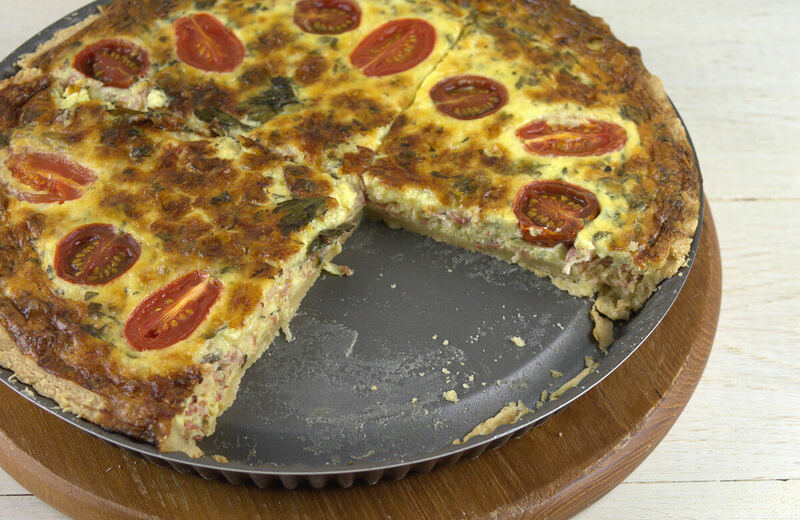 Divide tomato-halves over the quiche form and place a parsley sprig on top as well (optional). Place quiche in the middle of the oven and bake for approx. 40 minutes or until a toothpick comes out clean.